Last Fall I purchased a small amount of a Cotton and Steel Print by Sarah Watts (from the August collection), and when I cut some of it into strips for another project I made the pleasant discovery that this fabric really looks like Birch bark. Naturally, I went and bought more immediately! I am really excited to make use of this fabric in an improvisationally pieced tree quilt. I went with a fabric from Carolyn Friedlander’s Botanics line for the backing because I liked incorporating the leaf imagery. For the quilting design, I wanted to evoke a feeling of winter. While I’m not generally a big fan of snow, especially this time of year, I do like watching great big fluffy snowflakes fall into drifts. I decided to use a quilting design of various size bubbles in light blue to give that winter snow storm feeling. The binding is a slate colored piece from Jan Patek’s Front Porch line. I knew this little quilt wanted a striped binding, and it was fun to find a fabric from such a different line than Cotton and Steel, and make them play together so nicely. I’m considering doing one of these little tree quilts for every season . . . Binding: 2″ wide strips, cut on grain, machine stitched to the quilt front, hand stitched to the back. “Tree” Improv! I have never done improv piecing with the intention of making it look like a particular object. 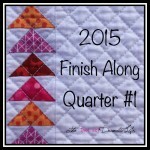 I’m linking this post up with Sew Cute Tuesday at Blossom Heart Quilts. Please stop by to check out everyone’s awesome work! This turned out so beautifully! 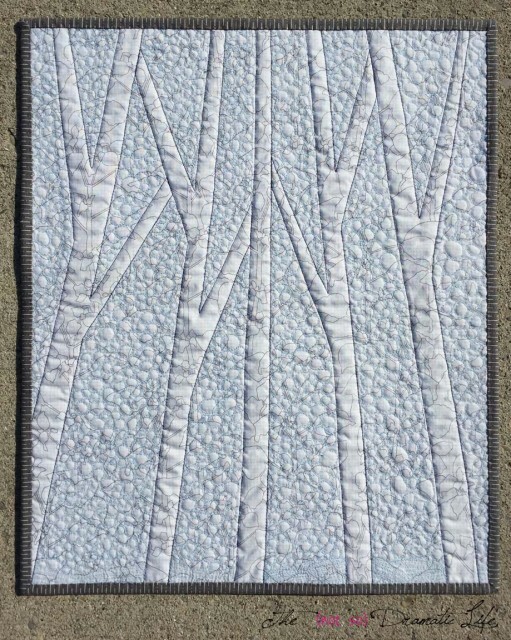 Using a coordinating solid to match the colors in the tree bark really helps the quilt have a lot of cohesiveness and the trees just pop out and shine. I love it when one small observation leads to a cool quilt! 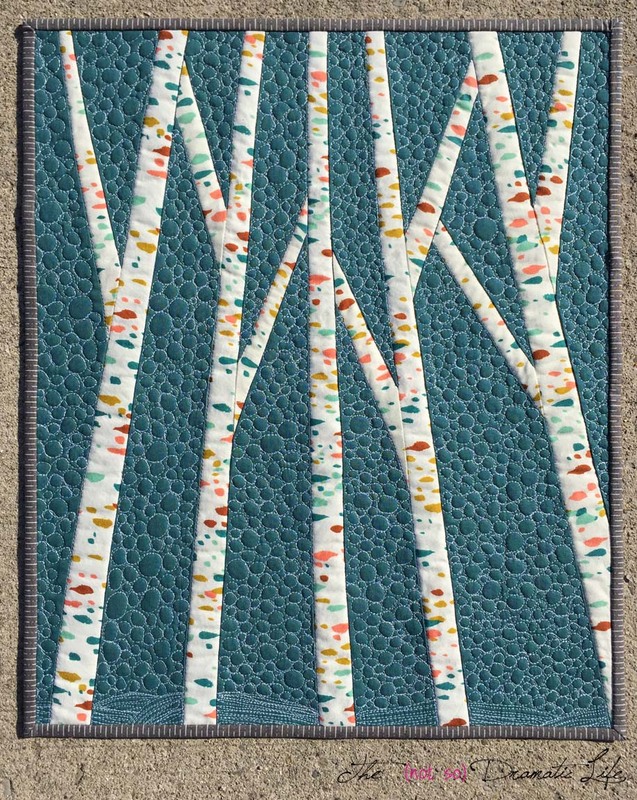 The bright colors in the print keep it looking arty as they suggest the birch. I appreciate the clue to process. I’ve never laid out all the pieces and slices before starting to sew. Looks like a good approach. Awesome! The fabric does look like bark, and your quilting gives a great winter feeling. This is stunningly beautiful!! I love the colors , and how it all makes me feel when I look at it!! 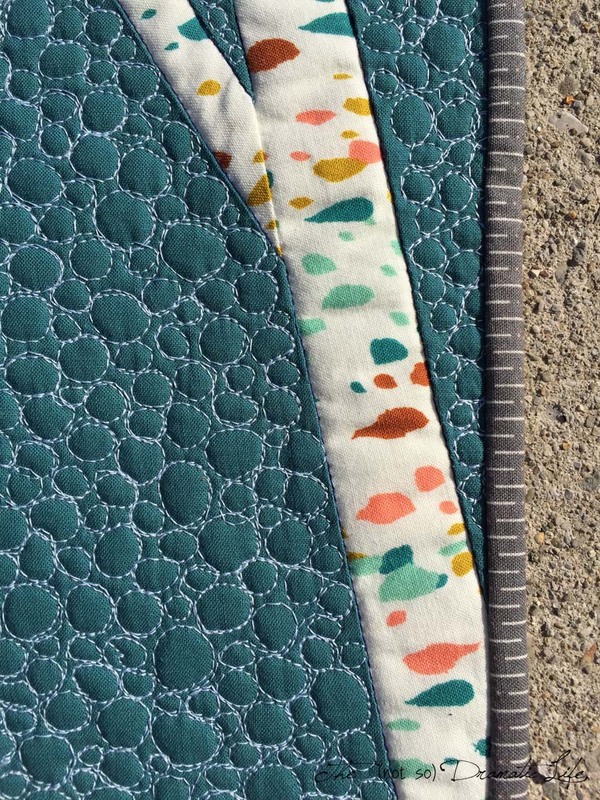 Your quilting is gorgeous too! This is a great art quilt. I love birch trees and these look just perfect. Well done! I love your quilt! It is so stunning! This catches my eye EVERY TIME I look at the projects on the FAL linky. Really stunning. I am totally pinning this to my wishlist! What a cool creation! I LOVE this one. It totally looks like trees in winter. 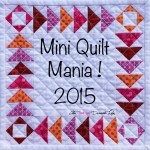 Cassandra, I really love this mini quilt and am sharing it on my blog post that will be live tomorrow morning on sisterview.com. (If that’s ok with you) If not, let me know and I will remove it. I just think it is gorgeous! Very beautiful. Thanks for sharing, it has inspired me to think outside the box. I too love this wall hanging. How to you do the tree and branches??? I don’t have a clue unless they were appliquéd. I’m dying to know. 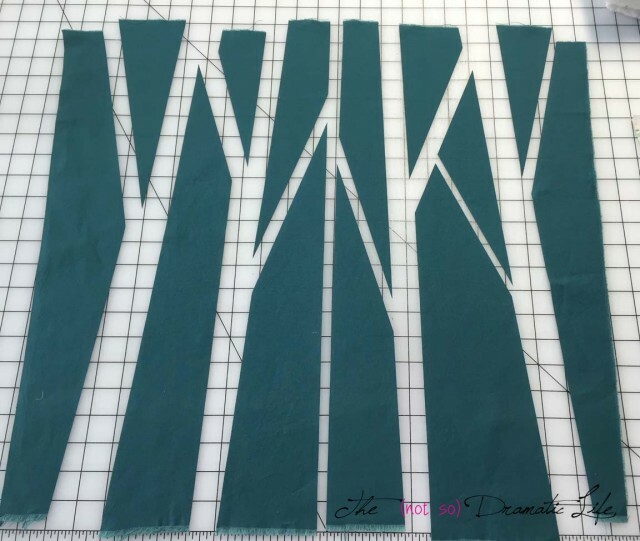 The background for this quilt is sliced anyplace you want a tree branch and then strips of fabric are stitched into each slash until the quilt top is assembled. I loved hearing your thought process for such a creative quilt. Thanks for sharing. It’s perfect. Just discovered this on your website. I adore it! Really nice job in fabric selection, piecing, and quilting – the full package!